When purchasing a Exselle Riser Protective Lift Back Pad from us you can rest assured that you will be getting an exceptional quality Protective Back Pad which will be made to last.The Horse Protective Lift Back Pad is made of closed cell rubber with a natural memory to maintain shape. The pad is designed to protect sensitive spine and shoulder areas , while reducing the load as it redistributes the weight of the saddle. The ventilated channels at front and center increase air flow and reduces pressure. 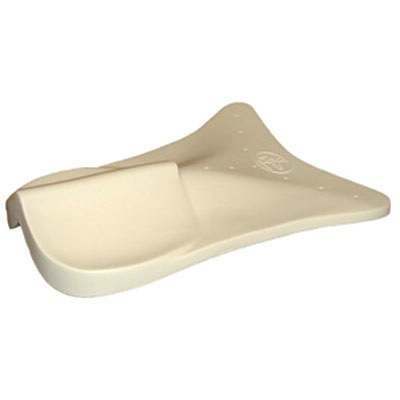 Clinically shaped and tested for close fit to reduce friction and slipping. Non-Absorbent. This item measures 5/8'' in front, 1 5/8''(Wedge) and 18'' in legnth. Finding the perfect Horse Protective Back Pads can be very hectic and time consuming. This is why we strive to offer only exceptional quality products that we believe are made of unsurpassable craftsmanship.